Whether you're looking for a new job or if you are involved in the process of recruiting and hiring for your company, it's important for you to understand what's involved in efforts to verify employment history. 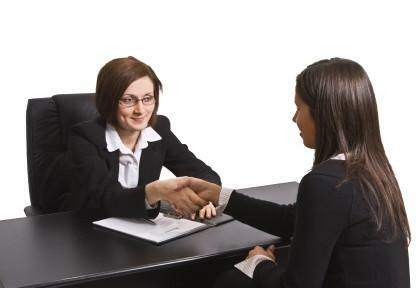 Verifying prior employment is an important part of applicant screening process. Most companies require applicants to provide a comprehensive listing of jobs they have held in the past as part of the application process. Some companies ask for details about jobs held during a specific time period prior to the present time, such as five or seven years, while others ask applicants to list a particular number of prior positions or even to detail every job they have ever had. It's important that you have all of the necessary information with you at the time that you complete paperwork requesting that you be considered for work. Failure to provide complete or accurate information can disqualify you from being considered for hire. If you do not currently know all of this information and you are looking for a job, it is in your best interest to spend the time and effort necessary to compile the specifics that employers are likely to request from you. Create an accurate personal employment history document and use it as a reference each time you fill out a job application form. Experience Verification - If a position requires experience performing particular tasks, the person in charge of hiring will review the employment history section of applicant forms during the screening process to verify whether or not applicants meet the requirements for a particular job. Work Habits - Employers often use the information provided in the work record section of candidates' application forms to get an idea of the work habits of the people who are seeking employment with their companies. Many employers look for evidence of job hopping, significant gaps between jobs, frequent career changes, and other patterns that may impact hiring decisions. Attitude Clues - Some hiring managers feel they can gain insight into a person's attitude toward work based on the language he or she uses to describe prior jobs and to explain reasons for leaving positions held in the past. For example, if a person indicates personality problems with previous supervisors or co-workers as the reason for quitting several jobs, employers may view that as a "red flag" that the individual may be difficult to work with. Personal Contact - Individuals responsible for screening applicants will often make personal contact with previous employers. Most commonly, this is done via telephone. However, if you are applying for a job that requires a top level security clearance, the organization where you want to work may send a representative to interview your previous employers in person. Written Employment Verification - Some companies send formal written questionnaires to request verification of the employment history information provided by people they are considering hiring. This type of verification can be done through the mail or via a web-based questionnaire. Outsourcing to Professionals - Many employers hire background screening companies or private investigators to take care of duties related to applicant screening, including work history verification, drug screening, running criminal background checks, and pulling credit history, if required. It's important to be aware that employers consider verifying employment histories to be a very important part of the staffing and recruiting process. Whether you're a staffing professional or recruiter or if you are in the market for a job, it's essential to recognize just how seriously this part of the hiring process really is.